The death toll after a fire in a hotel in New Delhi’s congested Karol Bagh area rose to 17 as rescuers looked for survivors on Tuesday, chief fire brigade official said. 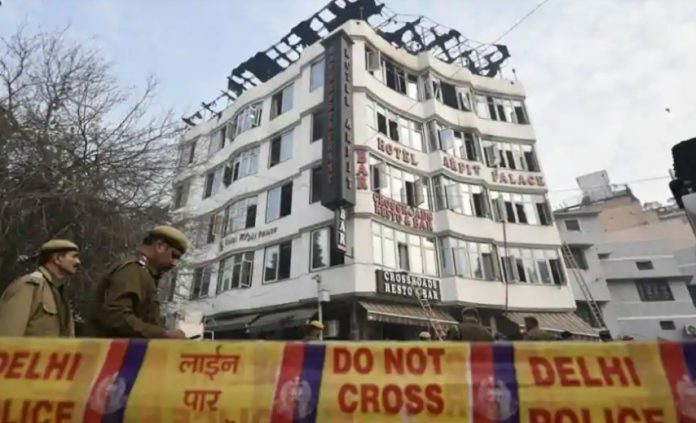 Fire officer Vipin Kenta said the two people had jumped off the Hotel Arpit Palace on Gurudwara Road out of panic when the fire broke out. “There was wood panelling on the corridor because of which people couldn’t use the corridors to get out. The two jumped off the building,” he said. A wedding party had booked a large part of the 35-room hotel and most of the victims were sleeping when the fire broke out, believed to have been caused by a short circuit. According to deputy chief fire officer Sunil Choudhary, 26 fire tenders were rushed to the spot. Choudhary said 25 personnel were evacuated from the hotel and two jumped out of the building in panic.